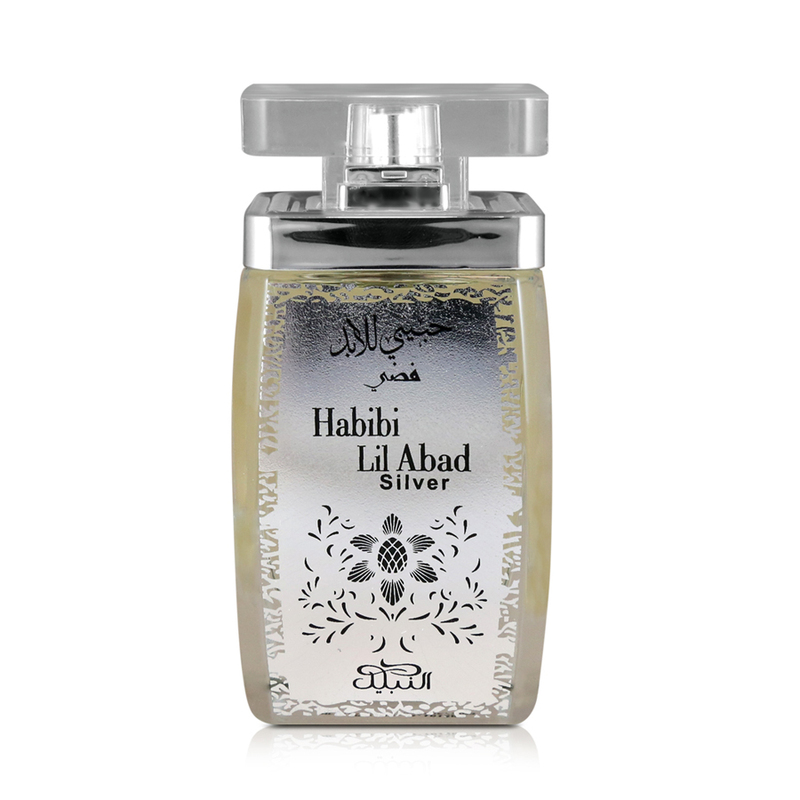 Brushstrokes across the canvas, illustrating the love celebrated in verse and song, Habibi Lil Abad Silver is the soul of an eternal bond. 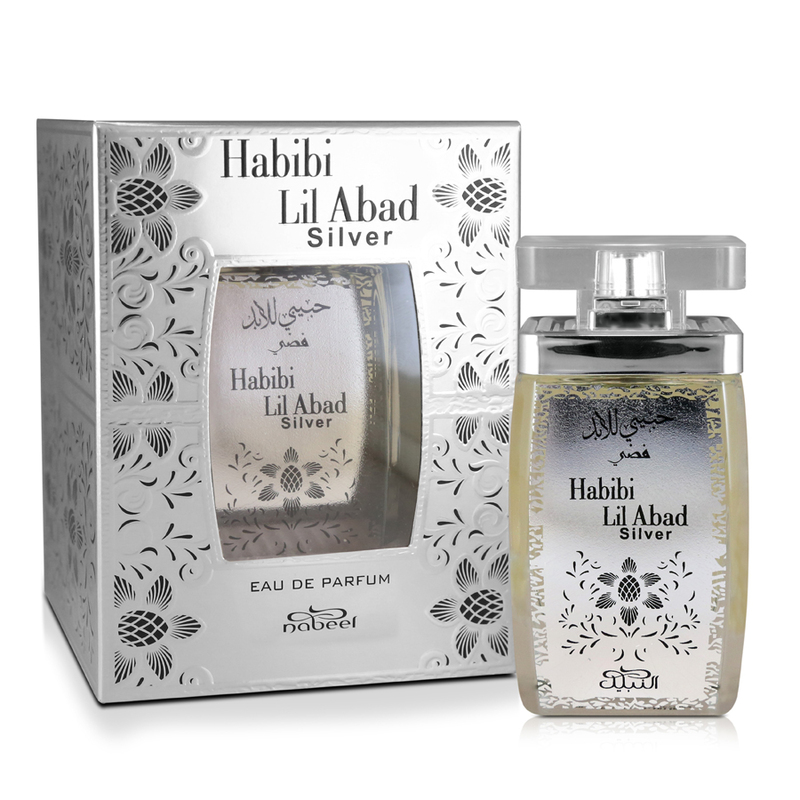 The unisex fragrance mesmerizes with floral flavors, drawing you in with rose and jasmine and enchants you with the scents of amber and sandalwood. The spray is featured in an exquisitely designed black and silver bottle and topped with a clear surlyn bottle cap.